Private Waterfront â You have landed at one of the last totally private, truly magical white sandy beaches on Cape Cod. First offering. 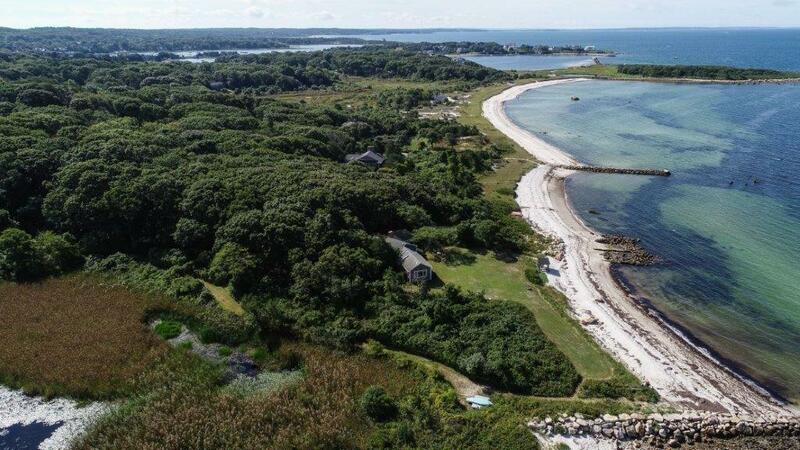 Rare opportunity to own this charming seaside home with 3.3 acres of spectacular sandy beachfront and sought-after privacy on Buzzards Bay. Enjoy panoramic unobstructed westerly views of Cleveland Ledge Light, amazing sunsets, the sweeping lawn leads to a soft sandy beach. This 3-bedroom ranch has 2 baths, living room, kitchen, screened porch, solid rental history. Family owned for more than 70 years with approximately 375 ft of beach water frontage you can enjoy fishing, kayaking, windsurfing, sailing, & swimming in your back yard. Walking distance to Harbor Head Tennis Club, Chapaquoit Yacht Club, Bowerman's Beach Club, the Shining Sea Bike Way, West Falmouth Harbor, and more!